Do the Toronto Blue Jays Have an Ace in the Hole? The main topic at spring training for the Toronto Blue Jays has undoubtedly been the starting rotation. The top two of R.A. Dickey and Mark Buehrle are locked in, but after that it gets a little murky. Sure, Brandon Morrow is penciled in at #3 (though he is currently slated to pitch in the #5 slot), yet he missed four months of 2013 due to a nerve ailment in his elbow and has looked erratic this spring. That leaves two spots that need to be filled for opening day. Drew Hutchison has the inside track on the #2 spot in the rotation, though he is coming off Tommy John surgery. Realistically, Hutchison can’t be counted on for more than 120 innings. J.A. Happ has a tentative hold on the #5 spot, but his wonky back has made him ineffective and has caused him to miss time. The uncertain rotation picture has caused great consternation among Blue Jays fans. What happens if Happ can’t go? Who will be the #5 starter? Scuttlebutt suggested that top prospect Marcus Stroman or Ricky Romero had an outside shot at claiming the spot in spring training. Those rumours were quickly put to rest after both piggy-backed disastrous outings against the Detroit Tigers and were promptly shipped to the minor league camp. Confusing? A little bit. But we’ve come to expect this double-speak from Blue Jays GMs, beginning with JP Ricciardi. The out-of-options line of reasoning makes it a little more clear as to why Stroman, Kyle Drabek, Sean Nolin, Neil Wagner and Chad Jenkins were sent to the minor league camp so quickly: they have options. That leaves players without options for the 5th spot in the rotation. Those players include Todd Redmond and Esmil Rogers. Ugh. Certainly not ideal for a team with playoff aspirations. But wait! There’s one more: Dustin McGowan. 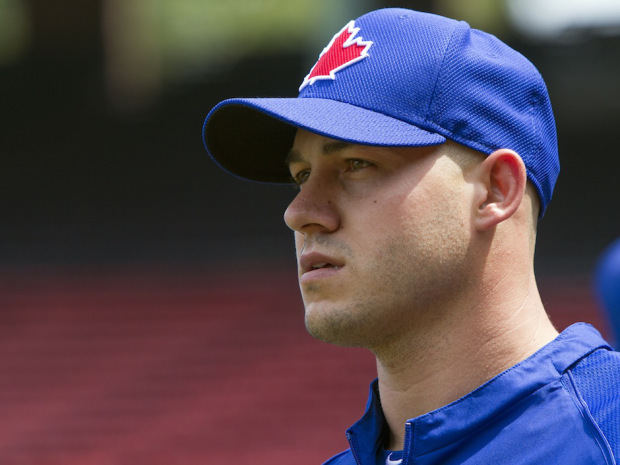 When I first heard about Redmond and Rogers being considered for the starting rotation, I thought to myself “why not Dustin McGowan?” McGowan is a far better pitcher than Redmond and Rogers and he has stated explicitly that he wanted to be a part of the starting rotation. It makes sense because he’s been a starter throughout most of his career. 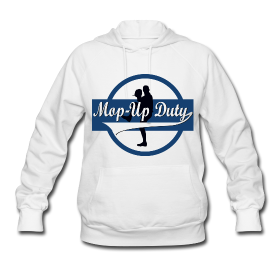 However, the 31-year old McGowan pitched a grand total of 21 innings between 2009-2012 due to a laundry list of injuries and surgeries. So it’s easy to see why he shouldn’t be counted on to “shoulder” a 200 inning load. McGowan is in the final year of a two-year, $3 million contract. If his arm blows up again, (relatively) no harm done. He has stated he wanted the opportunity to start anyway. But that opportunity took a hit when McGowan came down with a flu bug this spring, causing him to miss 10 days of camp. As a result, McGowan hasn’t had enough time to pitch enough innings to stretch himself out in order to handle the workload of a starting pitcher. Instead, he’s being stretched out to handle the role of a long-reliever. This could be a blessing in disguise if the Blue Jays follow the path of former Jays reliever Carlos Villanueva. Villanueva began the 2012 season in the Blue Jays bullpen pitching long relief. As the season wore on, injuries ravaged the rotation and Villanueva was called on to be a spot starter in late May. He made 12 starts between May 2 and July 28 and went 7-5 over that span with a 4.33 ERA. Great numbers for the #5 spot in a rotation. He went on to pitch 107 innings that season – a reasonable goal for Dustin McGowan to shoot for in 2014. Carlos Villanueva was then in a position to being the 2013 season as a member of the rotation. In this scenario patterned after Carlos Villanueva, McGowan can enter the rotation after Drew Hutchison reaches his innings limit (perhaps 120?) or he can slip into the rotation if the Blue Jays are able to generate some sort of value for Redmond/Rogers (dealing them for a late-round pick, international signing room or package them as fodder in a deadline trade). Either way, Dustin McGowan has much more value as a hybrid long-reliever/starter pitching ~100 innings than he does as a middle reliever. As well, this scenario allows the Blue Jays to build Dustin’s innings back up in order to make him a member of the starting rotation for 2015. 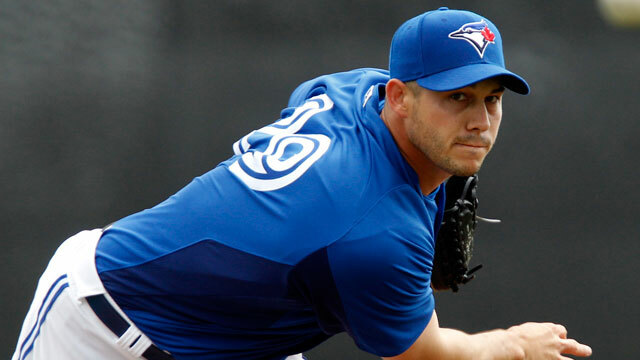 The Blue Jays hold a $4 million option on McGowan for 2015, potentially making him a value play for the rotation. However, I say all this about a pitcher who has pitched a total of 46.2 innings at the big league level since the conclusion of the 2008 season. With that said, the past is not necessarily a reliable predictor of the future. The Blue Jays potentially have an ace in their hole if they give Dustin McGowan the Carlos Villanueva treatment. If the Jays are serious about competing in the AL East they can’t rely on mediocre pitchers like Happ, Rogers or Redmond. Actually, I’d rather see Brett Cecil as their fifth starter rather than any of them, but I agree that McGowan has the highest ceiling.